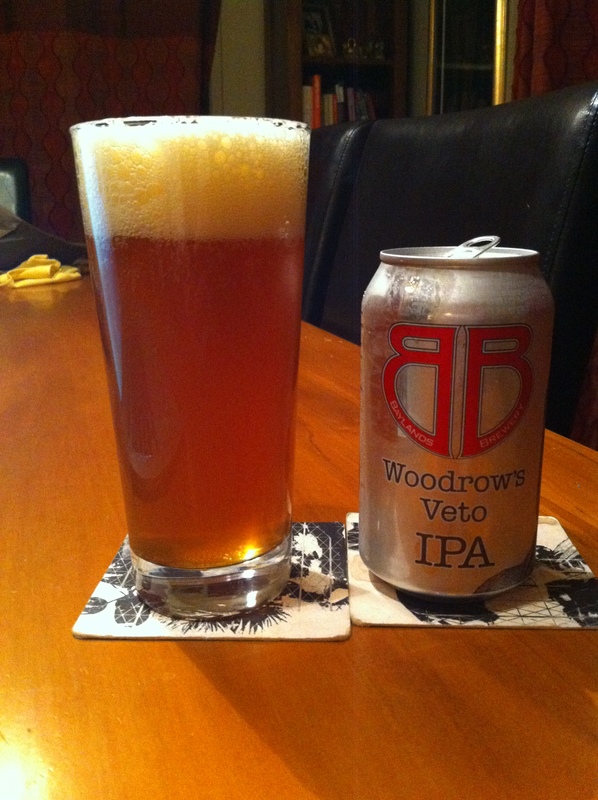 Another beer in a can, this one Baylands Brewery and their Woodrows Veto IPA, A beer I’ve had the pleasure with before both in the can and at the keg station, This time it’s for the BeerJerkNZ beer club, and that brought a smile to my dial. This is the standard 330ml can of 7% ABV beer, which makes it 1.96 standard drink units, 210 calories in this too as well as the 65 IBU things. With this big, fruity American IPA, the Baylands crew salute Wilson’s failed attempt. True to style, this IPA is all about the hops with lots of classic American “C” hop flavour. Loads of aroma and juicy hop flavour of cut grass, citrus and resin is supported by a touch of sweetness and medium body from the malt bill. This is at least the 3rd time I’ve had this, the second time in the can, and I’ve really enjoyed the other times, I’m ever the optimist that this is still as good as I remember. Brilliant, the aroma is brilliant wand it opens with a real crisp ka-chunk, it was difficult not to take a cheeky swig from the can. Pour is a lovely chestnut brown with a slightly tinged orange head that is deep and meaningful, fluffy yet firm, an it’s very noisy, did I mention that you should listen to beer before? This is one to listen to, like a snap, crackle, pop. Maltey sweet sugary over a decent bitterness that is right there in the middle of not to much not to little and it has a tangy and fresh finish that is a hint to the dry side. It’s hard not to gulp it. 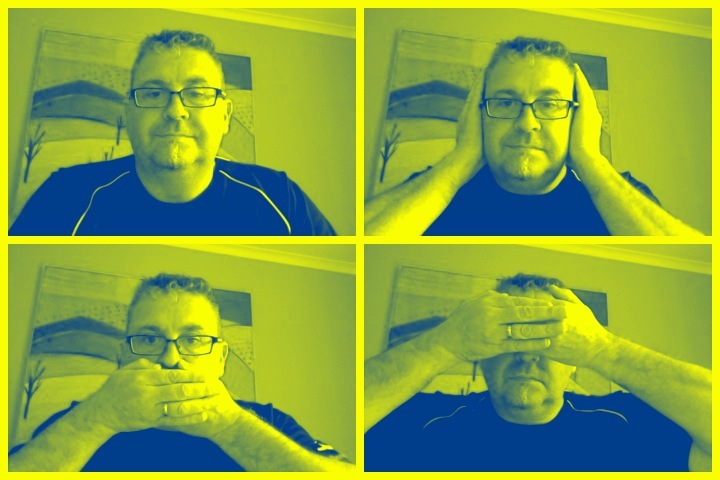 But gulp it I did, then I stopped and chided myself for a lack of control, pondering this over another sip or two. Suddenly it was all gone. The pdubyah-o-meter rates this as 9 a of its things from the thing. This is just consistently good drinking, and it really suits my taste and preferences in a lot of ways, making it really enjoyable, and yet still had things about it to enjoy and discover. Where did I get it? 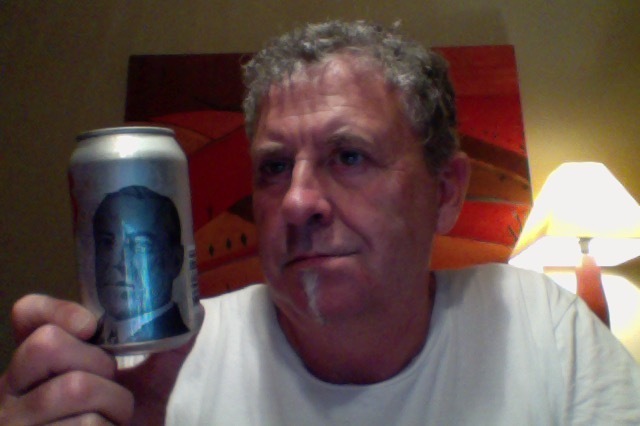 It is a BeerJerkNZ beer of the week. Would I share with a friend on a porch and set the world to rights? Yes. This is fine drinking. This entry was posted on April 7, 2016 by Philip Walter in American Pale Ale, Baylands, Beer, Beer of New Zealand, Beer Review, Craft Beer, Critic, India Pale Ale (IPA) and tagged Alcohol by volume, american pale ale, Baylands Brewery, Baylands Woodrow's Veto, Baylands Woodrows Veto IPA, Beer, BeerJerkNZ, craft beer, India Pale Ale, IPA, Pale Ale, Woodrow's Veto.